Portland’s recycling and composting curbside collection program is one of the most lauded in the country. Portland (pop. 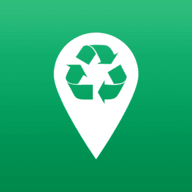 603,106) has long been known as one of the top eco-friendly towns in the U.S., with a mythical green halo surrounding its sustainable policies on public transportation, green building, plastic bags and, of course, recycling. Curbside recycling is big time in the Rose City, with residents utilizing a 96-gallon blue cart for their paper products, plastics and metals. Glass is collected separately in a smaller yellow bin. Composting in Portland, with curbside collection weekly, is one of the more highly touted programs in the country. Paper Including newspapers, magazines, catalogs, junk mail, phone books, milk cartons, soup and juice cartons, cardboard boxes (limited to 36-inch pieces in the cart; larger pieces can be bundled and set beside the cart) and shredded paper (bundled in a paper bag). Plastics Including bottles with a neck smaller than the base (6 oz. or larger), plastic tubs (6 oz. or larger), plant pots (4 inches or larger) and plastic buckets (5 gallons or smaller). No plastic lids or plastic bags accepted. Metals Including aluminum cans and steel/tin cans (rinsed), empty aerosol cans, empty and dry paint cans, scrap metal (smaller than 30 inches and less than 30 pounds), aluminum pie tins, aluminum dinner trays and clean aluminum foil. Scrap metal smaller than 2 inches should be placed in cans and crimped shut. Glass Glass bottles and containers accepted (rinsed; labels OK). Glass items go in the accompanying yellow bin. Motor oil Motor oil is accepted at the curb. Place used oil in a clear plastic jug with a screw-on cap and place next to cart. Motor oil is not to be mixed with any other liquids. Curbside pick-up occurs on a weekly basis. Carts must be placed at least 4 feet from any obstructions on collection day by 6 a.m. A 100-pound limit is enforced. Empty carts must be returned to property within 24 hours. A collection schedule is available online. Curbside composting is huge in Portland. Yard and food scraps have their own 96-gallon green cart, and they are collected on a weekly basis on the same day as recycling. All of the same rules listed above apply for composting. Acceptable compostable items include meat, poultry and shellfish bones; eggs, eggshells, cheese and other dairy products, bread, baked goods, pasta, rice, beans, nuts, seeds, coffee grounds, coffee filters, tea bags, vegetables, fruit, paper napkins, paper towels, pizza delivery boxes, table scraps, plate scrapings, leftovers, weeds, leaves, vines, grass, small branches (less than 4 inches thick and 36 inches long) and pumpkins. Portland operates five recycling drop-off locations in city limits. Glass, paper, plastics and metals are accepted. A location map is available online. Hazardous waste, including automotive fluids, solvents, paint, pesticides and medical sharps, can be dropped off at two locations for a $5 fee. The Metro Central Station is located at 6161 NW 61st Ave., and the Metro South Station is located at 2001 Washington St. in nearby Oregon City. Both facilities operate Monday through Saturday from 9 a.m. to 4 p.m. Please note there is no fee for paint drop-off, as it is covered by Oregon’s PaintCare program. Oregon’s e-waste is recycled through the Oregon E-Cycles program. To find a nearby drop-off facility, enter an address on the program’s website. A fee may be assessed for any e-waste dropped off. Metro runs neighborhood hazardous waste collection events all over Portland throughout the calendar year. For the most up-to-date information, please see the neighborhood collection events page. Visit the Portland Garbage, Recycling and Composting website for more recycling program info.